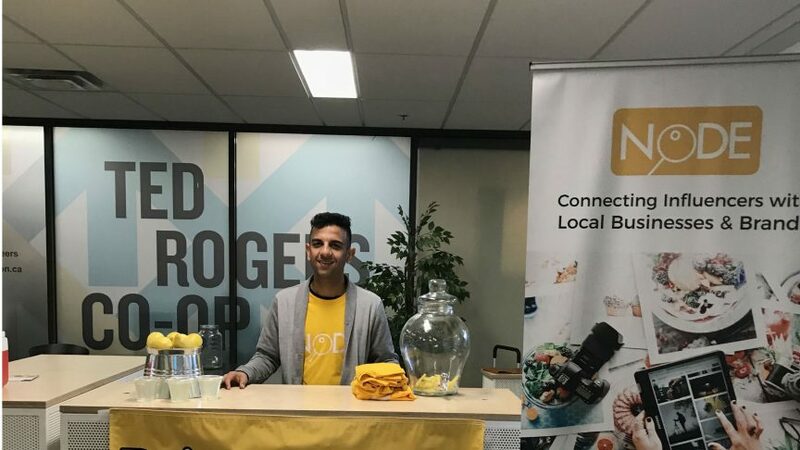 A graduate from Ryerson’s retail management program has launched Node, an app allowing Instagram influencers to redeem free goodies in exchange for promotional posts on their social media accounts. Co-founder and Ryerson alumni Armin Faraji said the purpose of the app is to tackle influencer marketing, making it easier for influencers to connect to local and national brands. Faraji said the app, which was released during the summer, allows smaller businesses to be involved in these transactions. “The app is for businesses that don’t have the means of staff or money to source good photos and content. It eliminates the hassle of hiring outside management,” he said. For a $100 subscription fee to Node, restaurants in the Toronto area can post offers to attract people with large followings on Instagram. In return, influencers can receive ‘Nodes’, which is free food in exchange for posting content. Jiten Grover, owner of Dipped Donuts in Toronto, said that although he’s not sure about the exact customer turnout in numbers, he’s sure he’s received a positive response since using the app. “People have come to the shop because they’ve seen posts and reviews of my donuts on Instagram, and they want to try them out,” he said. Deepa Prashad, a Ryerson student and host on the Family Channel and blogTO, said that it’s huge to have Instagram influencers promote local businesses because influencers have already established a solid following of people, and followers are able to share anything instantly with their friends. Prashad, who has over 12,000 followers on Instagram, says she has previously been paid to promote products on her Instagram and Facebook page. “There’s so much power in the ‘share-ability’ of social media, it’s instantaneous… it’s crazy how little it takes on social media to encourage people to try new restaurants,” she said. Node influencers are verified by the app based on their online engagement, the quality of their photos and their audience size. BlogTO’s social media channels have 615,000 followers on Facebook and 397,000 followers on Instagram, Prashad said that their food coverage is why they are able to help spread awareness about restaurants. “I’ve seen blogTO coverage help small businesses. After posting a video some businesses have told us that their business boomed and that sometimes it got to a point where they had to close their doors,” she said. Faraji said his goal for the app is to make it accessible for influencers and businesses to collaborate on content, giving more incentive to brands and influencers that are performing well to do business with one another. He said he hopes that his app will be used by many businesses in the future, as he believes that influencers are driving the conversation for dining experiences.